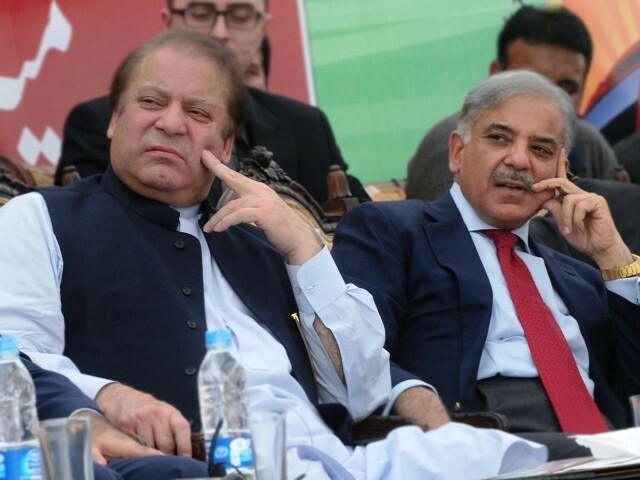 Former Punjab Chief Minister Shahbaz Sharif was on Friday, 5th October 2018, arrested by the National Accountability Bureau (NAB) at its Lahore office in connection with the Rs14 billion Ashiana-i-Iqbal Housing Scheme case, the bureau said in a statement. Shahbaz, the Leader of the Opposition in the National Assembly, has been accused of corruption in the Ashiana Housing scheme case. PML-N supreme leader Nawaz Sharif condemned the arrest of his younger brother, saying it was “not just regrettable, but also ridiculous”. Nawaz said the PTI government should remain prepared to face the same kind of treatment tomorrow “that they mete out to their opponents today”. This is not the first regime in Pakistan which has announced to take stern action against corruption and cleanse Pakistan from this menace. Pervez Musharaf also came to power in October 1999 after a military coup against Prime Minister Nawaz Sharif with the same promise and founded NAB. But till today NAB has not been able to bring down corruption in Pakistan and now the regime of “Change” has placed all its weight behind NAB expecting a different result from the same failed approach and institution. But corruption by the ruling elite is not a phenomenon unique to Pakistan rather where ever there is Democracy, corruption is entrenched within it. That is why people in the West also don’t trust their politicians and governments. According to the PEW research report published on 14th December 2014, only 18% of Americans today say they can trust the government in Washington. As long as Democracy remains, corruption will remain. This is because Democracy assigns the right of legislation to man. This naturally attracts the corrupt and greedy towards the prospect of getting laws made which facilitate their quest of amassing huge amounts of wealth. By influencing the legislative process such ambitious and wealthy individuals seek tax exemptions, state subsidies and grants, exclusive rights, legal protections and the like for their business and commercial interests. Through favorable legislation the corrupt seek to allocate the State resources in a manner which advantages them over the rest of the society. This is why we find that an overwhelming majority of candidates who compete in elections are wealthy individuals who spend a huge amount of wealth in the electioneering process because they view it as an investment which will be recouped many times over if they make it to the parliament. Imran Khan’s anti-corruption rhetoric thus narrowly focuses on money siphoned off from the state treasury through “illegal” means but does not target the real source of corruption which is the right to make laws. Thus we saw that the Islamabad High Court hinted at overturning the conviction of former Prime Minister Nawaz Sharif in the Avenfield Corruption Reference because it ruled that no illegality was established in Nawaz Sharif’s amassment of huge wealth. Moreover accomplished and experienced politicians who know the system inside out have developed a sophisticated understanding of how the system works and how to make money from it without reaching the “threshold of illegality” or in case of illegal acquisition of wealth, how to ensure sure such illegal activities remain outside the jurisdiction of law enforcement and anti-corruption agencies. Therefore NAB arrests of the Leader of the Opposition or the Leader of the House or any other politician won’t end the menace of Corruption. Corruption by rulers can only effectively be dealt with under the Khilafah State (Caliphate). In the Khilafah the Khaleefah cannot make laws and the Shariah has already determined how the State will collect and spend its resources. This means that corrupt individuals find no attraction or incentive in coming to power because rulers in Islam don’t make laws, they just implement the laws already determined in the Quran and Sunnah. Secondly Islam has mandated that the wealth of the ruler is determined before he assumes power and when he leaves power. Any abnormal increase in the wealth of the ruler is confiscated and admitted to the Bay tul Maal. So it is only the Khilafah on the method of the Prophethood which will end the menace of corruption from Pakistan and the Muslim World. Muslims must therefore work earnestly for establishing the State of Islam to ensure a corruption free Pakistan.